The U.S. government’s anti-trust efforts have been failing. Less competition and greater inequality are the result of the government not enforcing the rules against cartels, which can then pay us less as workers and charge us more for their products than if we had a vigorous competitive economy. And, instead of the government stopping the monopolies, the government is part of the problem. Indeed, sometimes the government, explicitly or tacitly, encourages or allows anti-competitive practices. Then most of us suffer with only a few big companies dominating a sector. The potential for new entities to shake up a sector is well-nigh impossible. That, in essence, is the thesis of this compelling but controversial book. I found myself in agreement with about 70 percent of the book’s arguments. We see this lack of competition, the authors report, in various disturbing ways: Two corporations control 90 percent of the beer Americans drink. Four players control the entire U.S. beef market. Five banks have about 50 percent of the nation’s banking assets. Four airlines dominate airline traffic, often having local monopolies. This is dangerous, the authors warn. 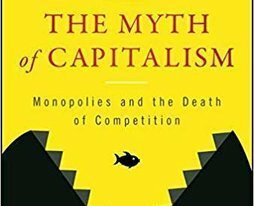 “Capitalism without competition isn’t capitalism,” the authors state at the outset. Capitalism without competition would be MTA subways in New York or the United States Postal Service or Amtrak or any of the many other state monopolies that should be sent to the ash can of history. 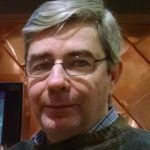 An objection I had to the authors’ thesis that trust busters are asleep at the wheel was the book didn’t take up some of the government’s most notoriously ineffective antitrust efforts such as the anti-trust case against IBM. This was a pathetic effort that basically feel apart; an anti-trust case that collapsed after many years in the courts. One could also examine the government’s repeated efforts against the supermarket chain A&P. These cases, at the time of their filing, appeared reasonable. That’s because the companies then seemed as though they had captured the market forever. They had not, but some people believed so. Indeed, I can remember economist John Kenneth Galbraith celebrated “dependence effect” idea of the 1950s and 1960s. In a series of books that were wonderfully written but were terrible economics, Galbraith argued that big corporations, such as GM, were so powerful that they could dictate to the consumer. Galbraith, much to his credit, in possibly his last interview a few years ago on CSPAN, admitted he was shocked that in his long lifetime many big companies blew up. Competition caught up to them and it wasn’t because of antitrust laws, rather it was because of innovation, the laws of profit and loss as well as foreign competition. (This, I think, should serve as a warning to those who would put up tariff walls. Tariffs may be the greatest anti-competition force). The seeming monopolies of the 1950s and 1960s were broken because consumers were, and are, finicky. They change their minds. A new generation of buyers often has very different ideas from the last one (How many times have you heard an old person say, “I can’t believe people pay good money for that.” O.K., you’re probably quoting me). A&P and IBM, in their times, seemed like Microsoft today. Or, to cite an example of my Bronx background, they seemed like the New York Yankees in 2000. Well back at the turn of the century my beloved Yanks (I grew up in Highbridge in the South Bronx, four blocks west and north of what the Babe Ruth called “the big ballyard”), seemed unbeatable. They had just won four championships in five years. But perilous challengers were waiting to bushwhack them. And for the past eighteen years or so my Bosox brethren are the ones having the last laugh in this new century. This interesting book, which details numerous big companies, also doesn’t quite explain the difference between predatory pricing—the attempt to wipe out competition and monopolize a market—and aggressive discounting. Here has been one of the great questions of anti-trust law and litigation, much of which has been so debatable. Consumers demand cheap prices—especially someone like me, my nickname in Spanish is “El Mas Tacano de Todos” (The Stingiest of Them All) —generally don’t care about the difference between predatory pricing and heavy discounting. They just want value. I also think that the authors, who seem very thorough in their research, appeared to have missed the fascinating work of Gabriel Kolko. He was a leftwing historian who wrote several compelling works about the Sherman Anti-Trust Act and railroads. Kolko held that the ones leading the charge for anti-trust legislation in the late 19th century were the ones you would least expect: The biggest railroads themselves. The Big Boys, he said, often didn’t oppose railroad regulation. They favored it, Kolko held. They saw it as a way of keeping out upstart railroads that would undercut them. They used Sherman Anti-Trust as a way to block discounters. They were anything but laissez-faire as few of us are when faced with strong competitors. This period in the late 19th century, in part, seemed similar to the authors’ belief in regulatory capture, how industries ingratiate themselves with the regulators who are supposed to overseeing them. I think the authors are on to something here. I think there are many companies today that see their job as much as getting favors from big government as coming up with better products and services. “The Myth of Capitalism” is a fascinating book even when I disagreed with it. For instance, isn’t a labor union one is forced to join in order to work somewhere a monopoly, a monopoly condoned under America labor law? However, in France, some workplaces have competing unions. That, to me, is a healthy thing as well allowing people to enter and leave unions as they wish. The concept of forced unions membership is to me no more different or flawed than the idea of a state religion. They are all monopolies. That extension of labor competition might be just the thing to get the percentage of union membership finally growing again in the Unites States, where unions—unless in the state sector—are increasingly irrelevant. Still, I think “The Myth of Capitalism” is a good book that makes you think, even if you are cheering or hissing the authors. I thought they should be credited with starting an overdue discussion of what is happening to our economy. It is a discussion worth having. Much more of their thesis that competition is dying in the United States needs to be examined. I like the authors’ recommendation that we should instinctively try to patronize smaller companies. But I also think that we need to examine why entry into so many industries is so expensive. I know a doctor who recently began an urgent care facility in the next neighborhood. These urgent care facilities are great competition for overbooked hospital emergency care rooms (Unsurprisingly, in a story I did on them, I learned the AMA is not a fan of them. Everyone, in theory, likes competition until the competition starts eating their lunch). The doctor was very happy to start it and only sorry that he hadn’t done it sooner. Yet he noted it costs about a half million dollars to start these facilities. That high price tag discourages a lot of MDs. They are spooked by the regulatory and insurance costs of beginning an urgent care facility. Here is an instance where more competition would be better but I’m not sure we’ll get it or, if we do, it will more likely come from big corporations. My suspicion that we will I think find one of the reasons competition is on the wane, why we often end up with markets with only a handful of players, is that the cost of regulation acts not as consumer protection, but a shield for the big established players in any given sector. By the way, the authors scorn many of the economists of the Chicago School, who they see as apologists for monopolies. By contrast, the authors seem to have some nice things to say about the Austrian School. The work of an interesting Austrian School economist Wilhelm Ropke, actually a German classical liberal who fled to Switzerland in World War II, might interest the authors. Ropke is credited with helping create the German economic miracle of the 1950s and 1960s. That’s because one of his most admiring students was the great German finance minister Ludwig Erhard. He was the man who surprised everyone by ending price controls—Galbraith said it would be a disaster. He was wrong—and by relentlessly cutting taxes. I think the authors of this intriguing book would be interested in what Ropke, a great friend of markets, had to say about monopolies. Most monopolies, he said, attained their position through collusion with government policy.